‘Chill’ is for fridges. This is Pure Brazil. Luciana Oliveira is a Brazilian vocalist whose music is classified as Musica Popular Brasileira (MPB), which is more of a movement than a genre. Its membership is as broad as the styles it encompasses. 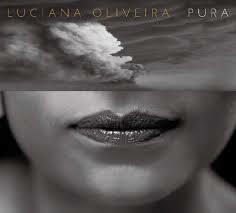 With her sophomore album, Pura, Oliveira manages to expand MPB just enough to distinguish herself from a crowded Bossa Nova revival that surged in the 90’s. My favourite track, “Menina Guiné” is different yet again, this time borrowing from Oliveira’s history with reggae artists, including the Brazilian band Natiruts and dub legend Mad Professor. With Pura, Oliveira proves that contemporary Brazilian music is more varied and substansive than the style that was “on trend” in the lounge music era. What more could we ask from a distinguished member of the MPB movement?